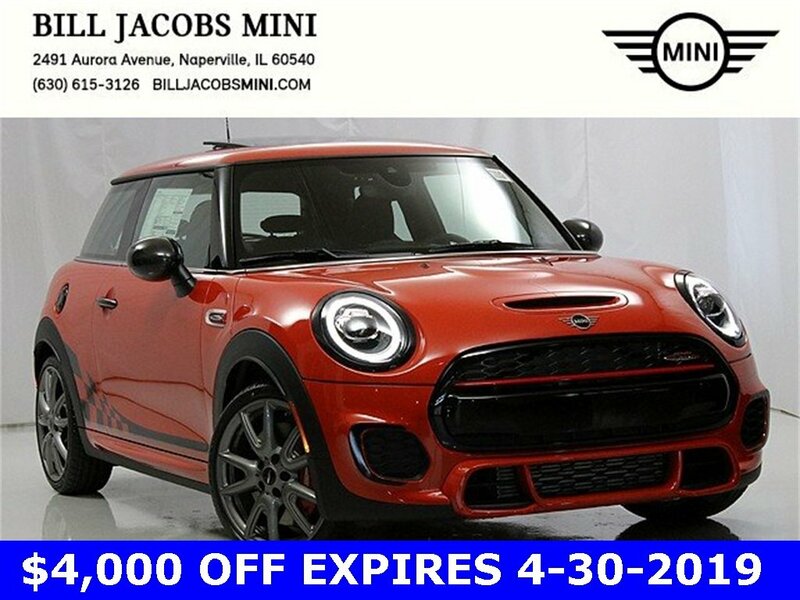 2019 MINI John Cooper Works **JOHN COOPER WORKS**, **NAVIGATION**, **PANORAMIC MOONROOF**, **HARMAN/KARDON PREMIUM SOUND**, **REAR VIEW CAMERA**, **MINI CONNECTED**, **APPLE CARPLAY**, 2.0L 16V TwinPower Turbo, Active Driving Assistant, Advanced Real-Time Traffic Information, Apple CarPlay Compatibility, Automatic Climate Control, Comfort Access Keyless Entry, harman/kardon Logic 7 Digital Surround, Heated Front Seats, MINI Assist eCall, MINI Connected, MINI Connected Services, MINI Connected XL, MINI Head-Up Display, MINI Navigation, MINI TeleServices, Panoramic Moonroof, Piano Black Exterior, Piano Black Interior Surface, Remote Services, SiriusXM Satellite Radio, Solaris Orange Special Edition, Special Order Equipment, Storage Package, Touchscreen Navigation Package, Wheels: 17 x 7.0 JCW Track Spoke Black Alloy, Wireless Charging & Enhanced Bluetooth. 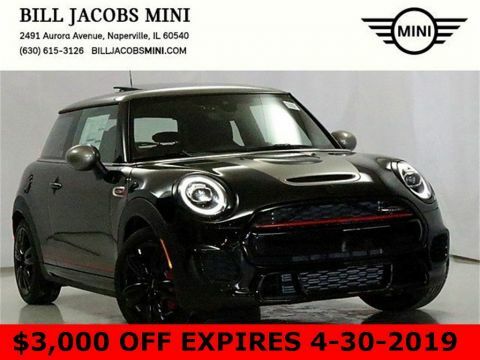 25/32 City/Highway MPG The 2019 MINI Hardtop 2 Door is the vehicle for corner-carving spontaneity. It’s complete with the latest performance engineering, premium technology and a finely tailored interior. Both comfort and creative use of space are central to the design, and by pushing the wheels all the way out to the corners and turning the engine sideways, this car can handle tight turns like a pro with plenty of passenger room in the cockpit. With a distinguished new look, LED taillights give a nod to the Hardtop 2 Door’s British heritage, while LED door projectors make getting in and out a special experience. 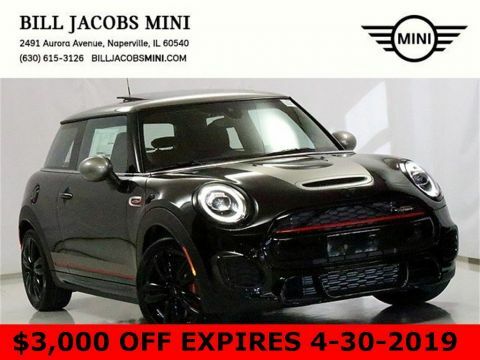 This car features potent twinpower turbo punch engines, Steptronic Sport automatic transmission, four-wheel independent suspension and driving modes, which allow you to choose from Sport, Green or Mid settings for perfectly balanced performance. The Hardtop 2 Door offers a range of convenient features for staying connected on the road, including Apple CarPlay compatibility, navigation, a head-up display and Find Mate app integration. 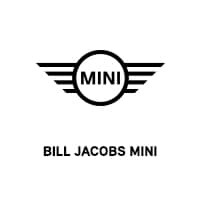 You’ll also find a comprehensive suite of safety features such as active driving assist and LED headlights. 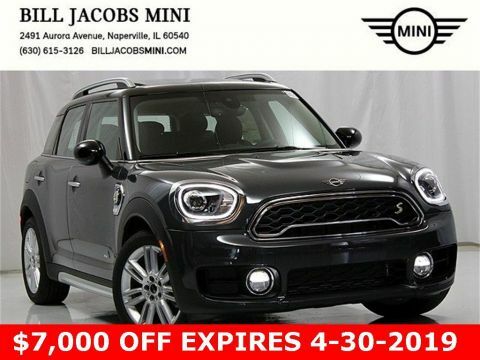 Enjoy more of every mile in the 2019 MINI Hardtop 2 Door.